Newly-released private letters written by Diana, Princess of Wales to the editor of British Vogue, Elizabeth Tilberis, reveal the “growing warmth” of their friendship, auctioneers have said. 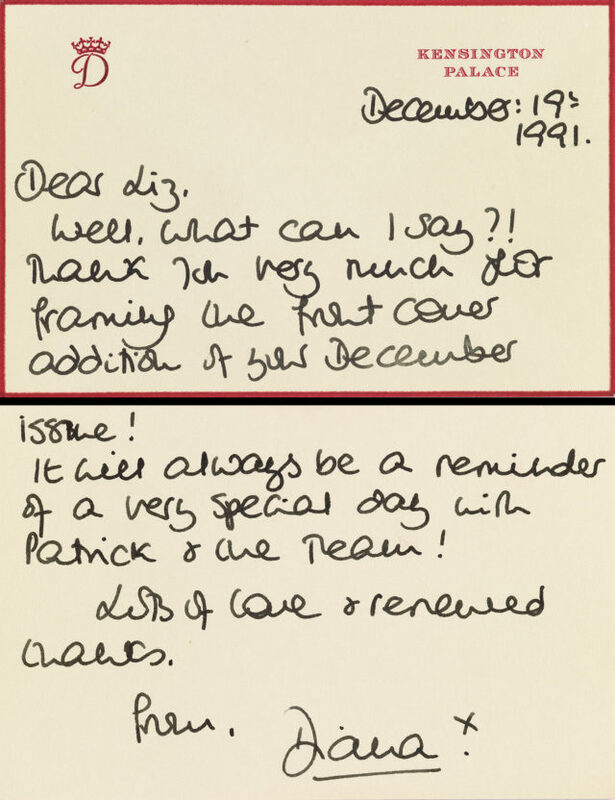 Swann Auction Galleries said the six handwritten letters sent to Ms Tilberis between 1989 and 1992 detail the time they spent together on photo shoots and how the Vogue team made the princess feel “relaxed”. 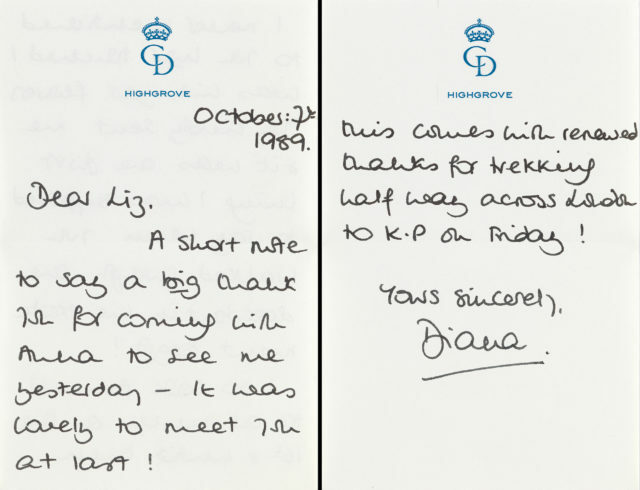 “I feel very relaxed being with the ladies so thank you for always thinking of me,” Diana wrote in one letter dated January 23 1992. In a letter from March 5 1991, Diana gets the date of her 10-year wedding anniversary wrong when discussing the media build-up to the July event. Her wedding anniversary with Prince Charles was actually on July 29. Ms Tilberis sent Diana a framed copy of the cover, much to her delight. “Well what can I say? !” she wrote in a letter on December 18 1991. “Thank you very much for framing the front cover addition of your December issue! The letters will be auctioned by Swann Galleries’ Autographs Auction in New York on March 21. They are estimated to sell for around £3,800 ($5,000) to £5,700 ($7,000). Ms Tilberis was appointed editor of Harper’s Bazaar in February 1992 and subsequently moved to the US. 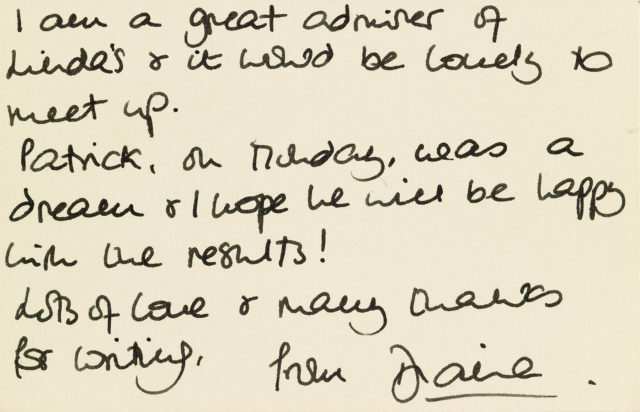 Congratulating her on her new role, Diana wrote: “I felt a lot of excitement in you as you start your new life in America. Ms Tilberis won many accolades during her time as an editor, including two National Magazine Awards for the first four issues of the magazine’s relaunch during September to December 1993. She did not outlive Diana long, dying in 1999 aged 51 after being diagnosed with ovarian cancer in 1993.